ON SALE! 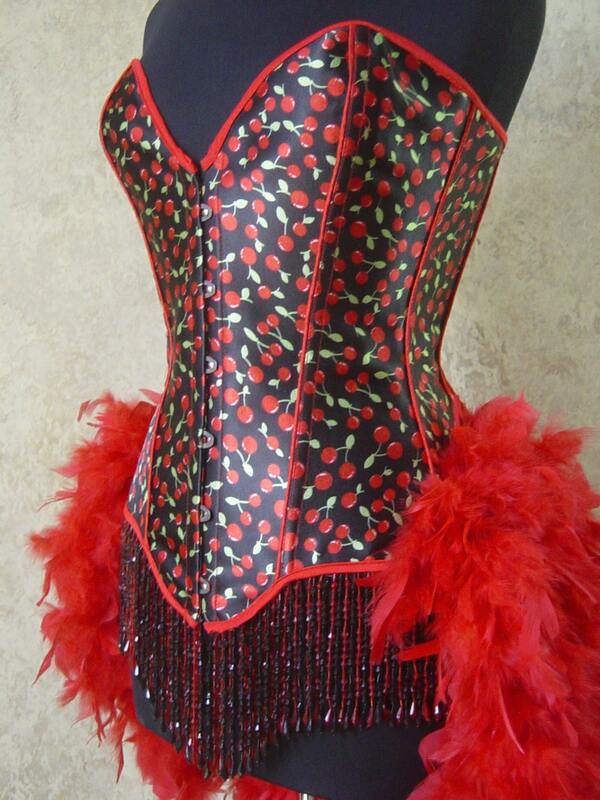 Elegant burlesque style costume made with a cherry printed heavy satin fabric trimmed in red. Bodice is boned with steel busk and lace up back. 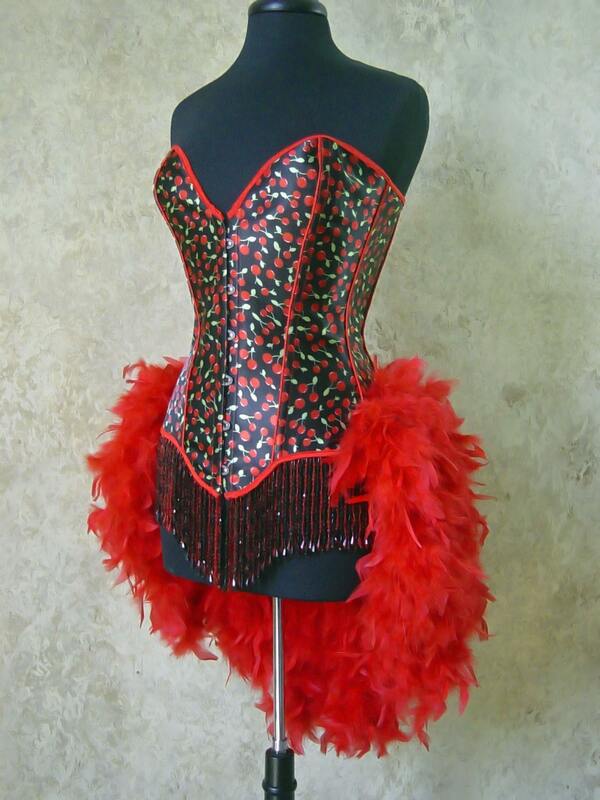 Double layer of 5.5" beaded trim with bicone and seed beads with teardrop ends in red and black. The train is made with heavy weight red feathers that taper in a V shape toward the back. Please refer to sizing chart below. You will need to purchase some kind of garment to wear underneath. You can pick your size and these are ready to go NOW!! 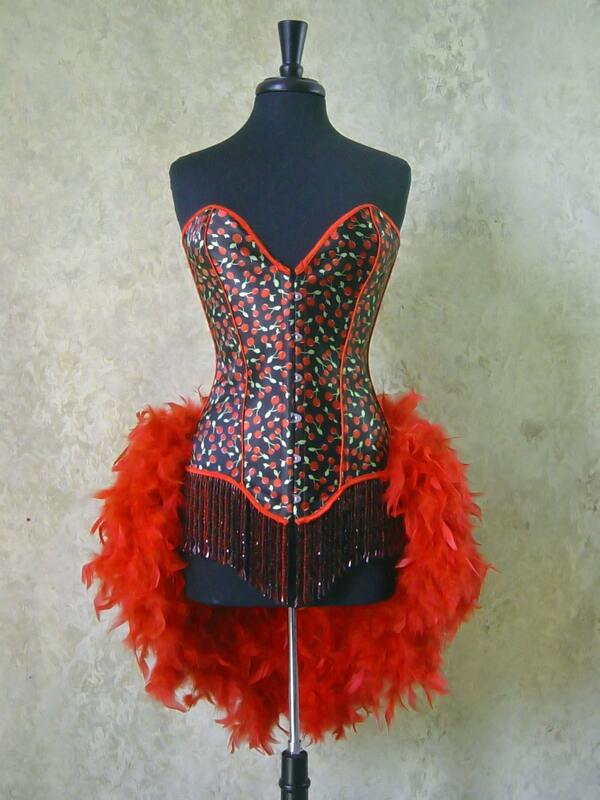 I have been in business since 1999 designing custom made costumes. I sell to several costume shops around the world and have won several design awards for my designs. 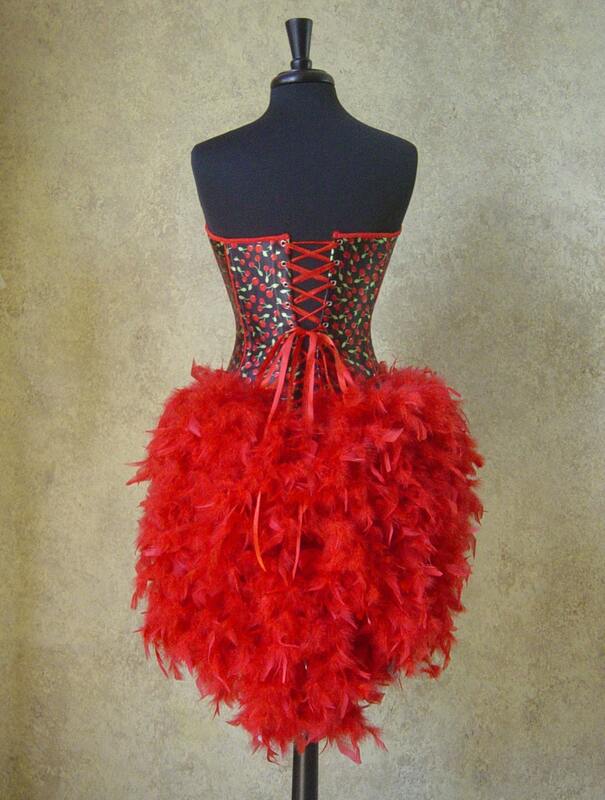 My costumes have been featured in many Vegas Casinos, Canadian Casinos, and theater events. I have decided to offer listings on Etsy of FINISHED costumes so there is no wait on shipping! I do offer options to have your very own design made. Please contact me with your requests.